Tillandsia streptophylla X concolor by M.Paterson 1983.
obtained by K.Woods from M.Paterson pre-registration. 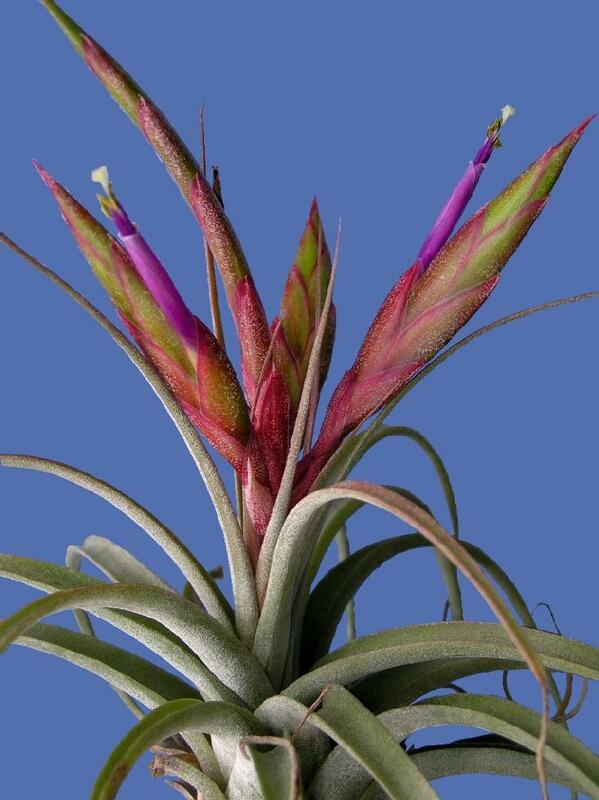 Not to be confused with same cross Tillandsia Redy, named after Rainforest Flora (US) retail Nursery manager. 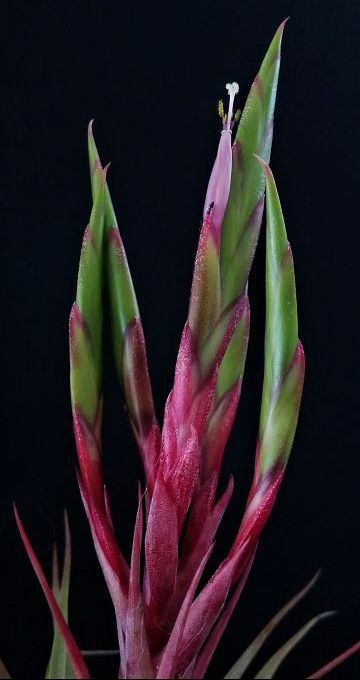 Steve Molnar ... "I have this mystery plant which has finally flowered for me. 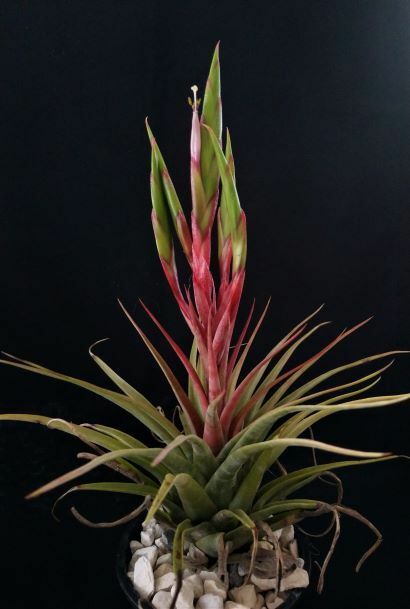 Its relatively small only 200 mm wide by 200 mm tall. 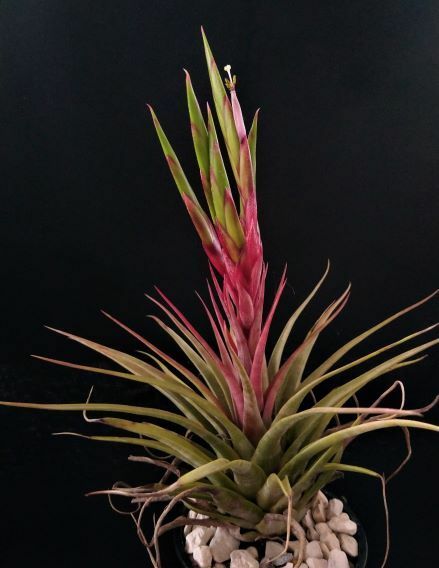 I suspect it would most likely be a hybrid, with the possible influence of concolor and maybe one of the fasciculatas in it, as the leaves are quite stiff. 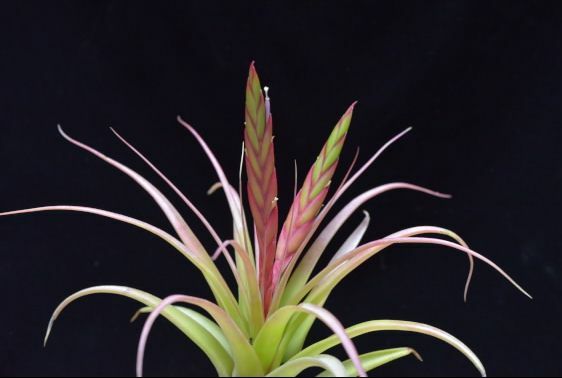 Anyone have any suggestion on what it may be? I like the look of it no matter what it is." 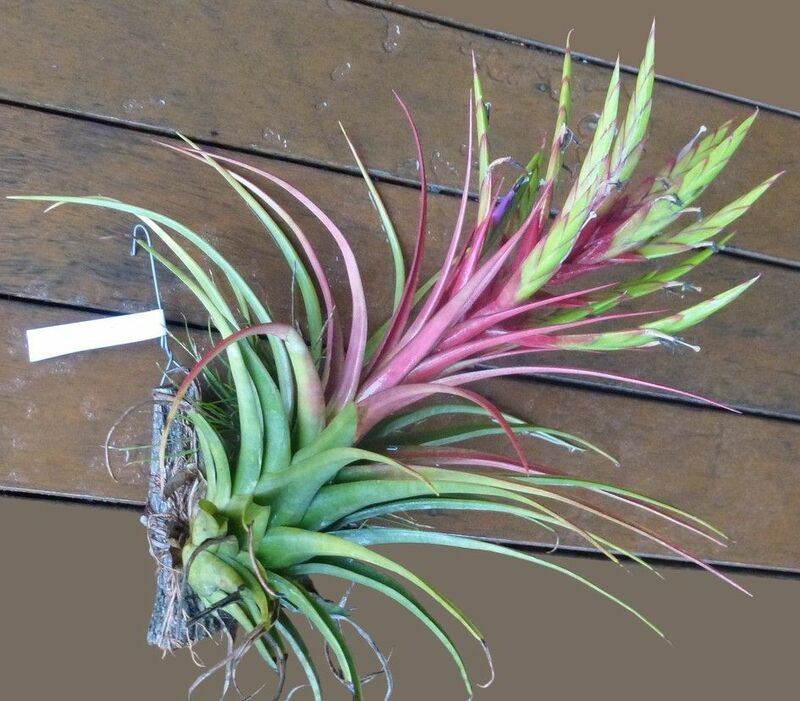 Bruce Dunstan ... "It reminds me of a streptophylla X concolor hybrid I got from John Olsen at a BSQ Xmas Party years ago. 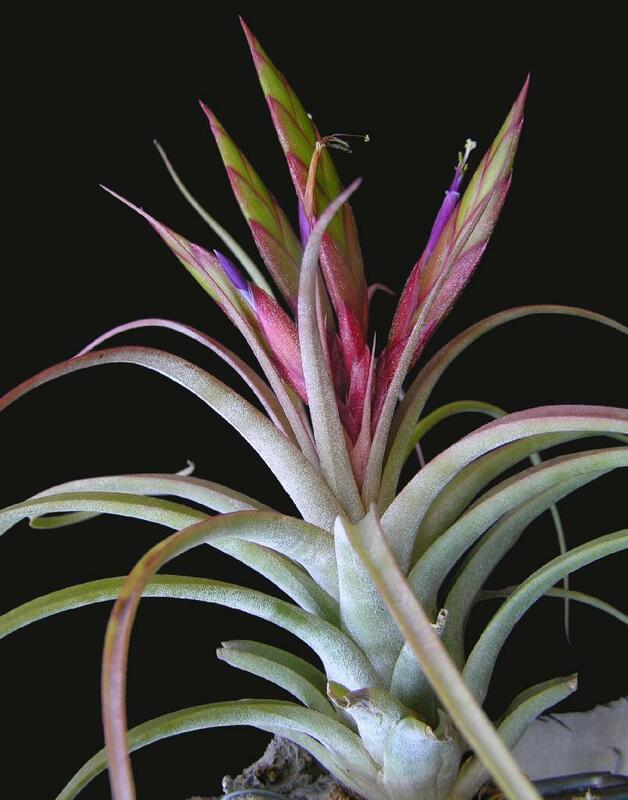 John may recognise the plant and have some info regarding it."